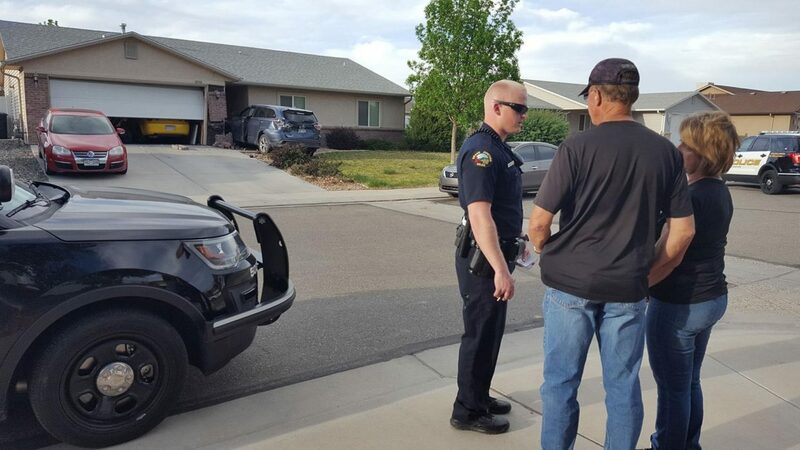 An officer talks to neighbors after three juvenile males were arrested Sunday for allegedly stealing a vehicle, ramming it into an SUV, then crashing into a Pear Park home (upper left corner of photo). No one was injured, according to police. 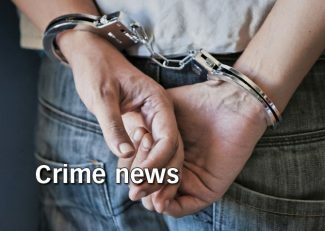 GRAND JUNCTION– Police located three male juvenile suspects Sunday night in connection with an alleged joyride in which two vehicles were heavily damaged, one when it slammed into a Pear Park home. 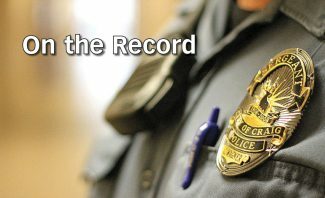 Nobody was injured in the crashes, police said, yet plenty of damage was visible in the neighborhood after the driver of the allegedly stolen vehicle bailed from a moving car, sending it into the home.